Struggles continued for the Massachusetts baseball team Tuesday night after an 11-2 defeat to Holy Cross. The Minutemen allowed 10-plus runs for the eighth time this season. 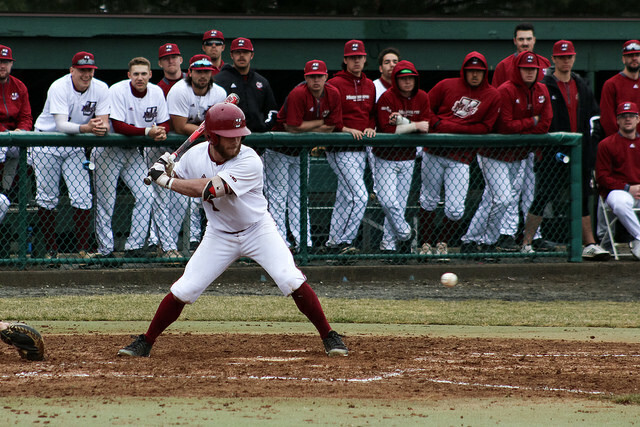 UMass (4-9) couldn’t find their stride throughout nine innings of play and fell victim to an offensive slugfest from Holy Cross (3-18), who pulled ahead with six runs in the sixth inning. The Minutemen couldn’t get things going offensively or on the mound, and found themselves struggling to keep themselves in the game. Coach Matt Reynolds wasn’t fond of the performance from his team and spoke to the fact that it wasn’t just individual players, instead it was the whole team that needed to take fault. Daniel Livnat got the nod for the Minutemen squaring off versus Noah Luckenbaugh of Holy Cross from the mound. Livnat went two and a third innings, allowing five runs but only two earned. He got dealt the loss, while Luckenbaugh went three innings with one walk and finished with the win. The bullpen struggles persisted all night, yet up until the sixth inning it was still a five-run ball game until an offensive onslaught from Holy Cross put them ahead 11-0. The offensive outpouring was due in large part to second baseman Peter Dudunakis of Holy Cross, who tallied three hits to go along with one RBI, alongside fellow infielder Alex Gionis who led the team with three RBI’s. The Minutemen went scoreless up until the top of the seventh inning, when they tacked on two to cut the damage to a surmountable nine runs. Second baseman Eddy Hart and left fielder Colin Shapiro drove in the only two runs of the night through walks. Shapiro continued his on base streak to 12 straight games. One of the few bright spots of the night was freshman Jake Pawlowski who kept UMass in the game, going two and two thirds innings pitched allowing no runs and striking out four. Reynolds spoke on the importance of his outing in a game like this. “He was one of the very few positives today. We were in a tough spot not playing today and he was able to control it [his pitching] today which was good. That was a positive,” said Reynolds on his freshman right handed pitcher. The Minutemen start up A-10 play this weekend traveling to VCU for a weekend series in Richmond, Virginia. First pitch is Friday at 6:30 p.m.